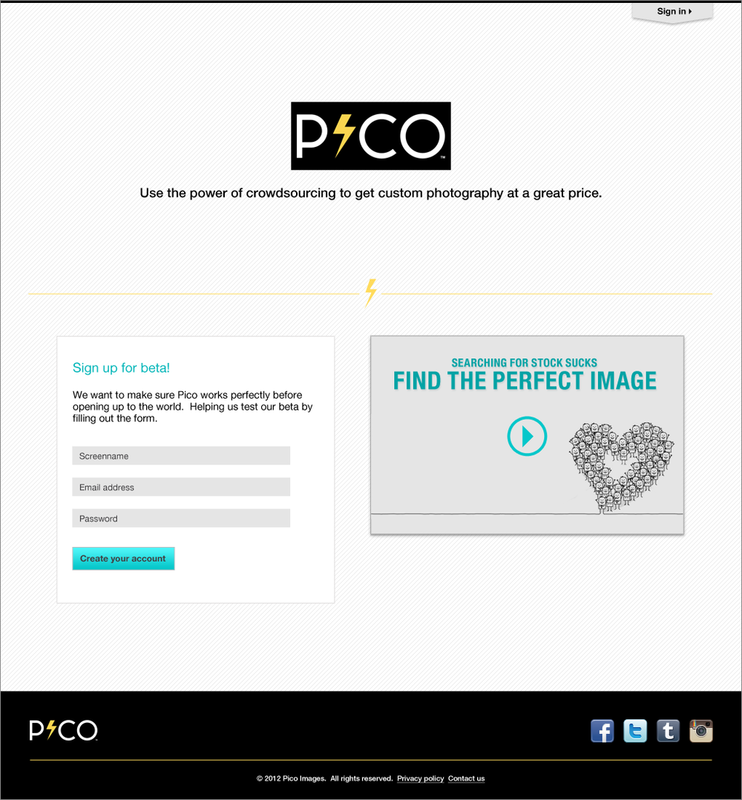 A personal project, Pico was a website that facilitated the crowdsourcing of stock photography. As an art director, I found myself constantly searching for authentic, sometimes imperfect photography. With the rise of instagram I felt there could be a opportunity to leverage thousands of photos and ready photographers. Pico tried to facilitate the relationship between creatives and emerging photographers. After interviewing more creatives, we created user profiles and journeys. Using Lean Start-up methodology we made a low fidelity, minimum viable, prototype which we validated as a proof of concept. From there, we were successful in fundraising to launch a beta version of the site in 2014. Pico was alive for a year. Ultimately, we lost steam but the process and experience was a tremendous learning opportunity.